If you’re looking for a new home in Greater Toronto, there’s a whack of supply that continues to rise. Altus Group numbers obtained from BILD show December inventory was the highest in years. The rising inventory came as the market saw the fewest new home sales since the Great Recession. Greater Toronto new home prices are down… or up, depending on what you’re looking to buy. The benchmark, a.k.a. “typical price,” of a single family home fell to $1,143,505 in December, down 6.7% from last year. The price of a GTA condo however increased to $796,815 in December, up 11.2% from last year. Typically price divergence doesn’t last too long. 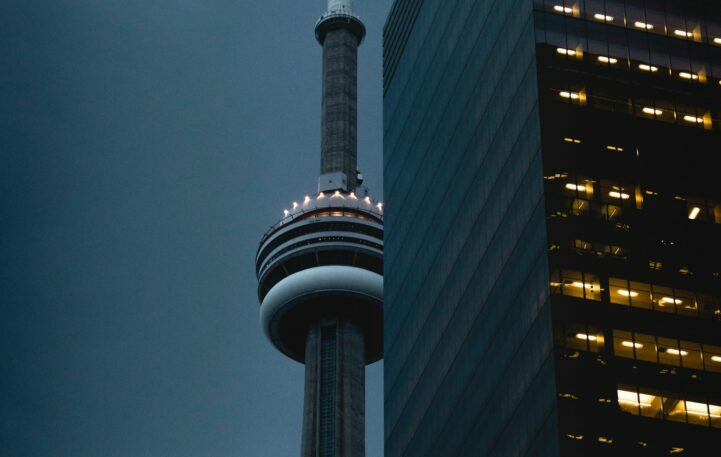 Either detached prices will rise, or the market will start to think over three-quarters of a million for a condo is too pricey for Toronto. Total December new home sales in Greater Toronto. Greater Toronto new home sales were unusually cold at the end of the year. Greater Toronto new home sales fell to 940, down 7% from last year. Compared to December 2017 however, this number is down a whopping 67% lower. That makes this most recent December, the fewest sales for the month since 2008. What’s the deal with that year coming up so often? Total condo apartment sales in Greater Toronto for December, by region. Condo apartments represented the largest decline in terms of units. Only 804 condos were sold in December, down 7.37% from the year before. However, that number is down 64.55% from the year before that. The decline in sales certainly wasn’t due to a decline in available units to buy. There’s a s**t ton of new home inventory on the market. Total inventory available for sale reached 15,768 units in December, up 38% from last year. Condos represented 10,687 of those units, up 35% from last year. New Homes To See Falling Prices In The Future? Fewer sales and more inventory should relieve a lot of the pressure for prices to rise. The sales to active listings ratio (SALR) fell to 5.96 in December, dropping more than 32% from last year. Generally speaking, when the ratio is above 20, the market is a “seller’s market.” This is when prices should rise. When the ratio is below 12, the market is a “buyer’s market,” where prices are expected to fall. Between 12 and 20 is a “balanced market,” when things are priced just right. Currently we’re in deep buyer territory, so prices should fall if exuberance subsides. A market is only as good as its last sale, after all. The ratio of sales to active listings for new homes in Greater Toronto, for the month of December. New home sales are falling to multi-year lows, and inventory is rising quickly. Meanwhile, buyers are pushing prices higher… even though there’s much more selection than just a few years ago. The benchmark is most likely skewed by “incentive” offers. i.e. first year interest free on some homes, which in interest costs is 5% or more. With condos, upgrades are being offered as well, so there’s no quality adjustments either. Like your newsletter says, only 5% of the market was willing to pay higher prices. That isn’t a market, it’s idiots who are willing to part with their money too easily, and 95% units are developers bag holding. 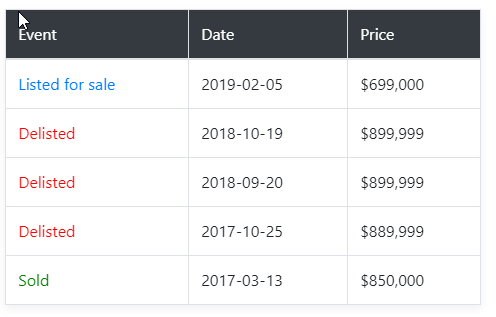 In what world is Altus seeing prices at $796,815? I’m getting emails daily from agents pitching projects that are going for ~$550k in downtown Toronto, and they’re throwing in a ton of perks and upgrades. Can’t trust the builders to do pricing. It will be interesting to watch the Impact the massive recovery in the Stock Market and the drop in mortgage rates has over the spring selling season. drop(they will increase). Where have you been ? This is the type of thinking that caused this mess to begin with. I think what Gregory is referring to is that the markets in US and Canada have recovered 15%ish from their December lows and markets are no longer pricing in rate hikes for 2019. I also believe he is referencing the fact that banks are offering lower mortgage rates now than they were in Oct 2018. It is possible that these changes may entice buyers back into the market for the spring selling season. I don’t think there is any doubt that the market will eventually suffer a full blown meltdown and rates will eventually go up, but I can see a reality where rates stay low for another 10 years. Who the hell knows when these events will occur. “A market is only as good as its last sale, after all.” – I wanted to reiterate that statement by Kaitlin. It’s a good one. Desperation of some sellers willing to take a lower offer than the rest of the market had been taking is what will/has begun the snowball rolling. Will be interesting to see how much larger the snowball grows. I’m not seeing a snowball yet. Instead of bunting to just get on base, folks are swinging for the fences hoping for a home run on price. The last dozen or so listings in my subdivision, have WTF?!!!! prices. I’m floored by some of the new asking prices. Easily 20% above recent comparable sales. They are acting like 2018 never happened. 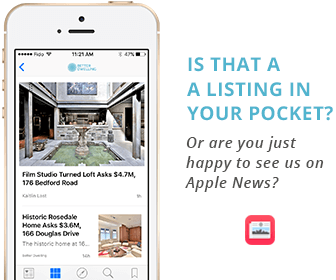 @SUMSKILLZ agreed I am seeing a lot of listings with ‘URGENT’ while also asking peak prices. Bought 2 years ago for 850k, tried to sell for 900k for 2 years, is now trying to sell at 650k. That is not a very desirable street to live on regardless of where we are in the cycle. But it’s still in Toronto. The amount of complaining I hear about “I can’t afford a house in Toronto”. Scarborough and Etobicoke are a part of Toronto. Not everyone can live in the heart of downtown for rock bottom prices! Money contracts around the center; fundamentally this will never change. But has the ‘center’ changed? Does everyone want/need to be in ‘the city’ or are there a lot of jobs in the outer regions? I lived there for 10+ years in my 20s through to my mid-30s and I can drive there to get what I need on a Saturday morning in 50 minutes. It took me 40 minutes on the TTC, which is getting worse each year, to get to king and bathurst. I was driving around the city to get what I needed every weekend; it is not an urban city other than the culture/arts/food which I adore. Southern ontario is not new york where most high paying jobs are in the center and outside has limited employment options in comparison (note: upstate new york is a gem and housing is very, very cheap and there are good jobs, just not a high concentration). What happens when the boomers who are the largest holders of freehold SFH decide their retirement is in jeopardy or worse they will be crushed by their call side loan? Who is left with money to provide a support level that doesn’t go back 10 years in terms of pricing? Oh wait, PE/Investment firm who have been buying up housing since 2008. Now it’s toronto’s turn. This is going to get very depressing. Get your debt right. Help your parents and the elderly. Don’t blow cash (cash is king!) on silly things. Love your life but don’t love your assets. So remember when they were saying there is not enough homes? Also too alot of idiots who lied on their mortgage applications cant requalify so they gotta go to 3rd party lenders at much higher rates. I work at a bank i know how it is.